Let’s talk Google and Facebook! PPC is the bread and butter of your online store, which means that without an optimized marketing strategy you’re practically throwing money (sales) away. The most important aspect of that marketing strategy is creating a symbiotic relationship between your PPC platforms. This is where Facebook and Google campaign planning comes in. We know that the benefits, advantages and strengths of Facebook ads are boundless. Benefits such as audience granularity through lookalike audiences, good ROI potential and visual opportunities take PPC targeting to a whole new level. And when it comes to search, Google is king – offering advertisers a vast audience of people actively searching for what you’re selling, almost instantaneous online store traffic, and extensive ad types and formats to meet your needs. However, the key to achieving a perfect cross-channel strategy lies in working smartly with both platforms to streamline your sales funnels and drive more converting, targeted traffic. In this post, we will take you through some winning eCommerce marketing strategies that combine Facebook and Google ads for maximum success. One of the most powerful ways you can use Facebook and Google ads together is with audiences. By creating Facebook lookalike audiences based on store visitors from your search campaigns, you are able to target potential shoppers on Facebook who are similar to those already searching for what you’re selling. This will allow you to create very specific ad sets within your campaigns to reach specific people with specific product promotions, thus increasing your conversion potential. You will want to make sure that you exclude other lookalike customers from your search-based audience, though, as this will prevent crossover customers from seeing both ad sets. You can read more about lookalike segmentation in our Top Facebook Custom Audiences Hacks post. Your high-performing Facebook campaigns have a host of elements you can use to boost your Google Search campaigns. One of the easiest and most impressive things to test in your search campaigns is your performing Facebook ad headlines. By using these well-received, tested headlines in either your new search or remarketing campaigns can have great results. For new search campaigns targeting new potential shoppers, using tested, high-performing headlines from your Facebook campaigns means a higher chance of success. In regard to remarketing search ads, use these catchy headlines to help create consistency and branding, working to bring that traffic back to your store. The number of shoppers likely to actively search for your brand on Google will increase after running a good Facebook branding campaign. This means that by using Facebook to elicit store brand searches and then Google to close the deal with a clever remarketing offer, you can use both platforms together to boost conversions. This is effective for a number of reasons, with the most important one being that people will often Google a brand instead of clicking a Facebook ad button to find out more about your brand. Therefore, to enable you to use Google to convert these Facebook Googlers, you need to be bidding on branded keywords. In short: The idea here is to use Facebook to reach a broad, cold audience that you can convert with Google search campaigns using branded keywords. A lot of newbies ask why they should be bidding on branded keywords in Google Ads search; here are the top three reasons. You can read more about it on our Branded Keyword Terms guide. By now you should be aware of how effective remarketing campaigns can be with both Facebook and Google Ads. 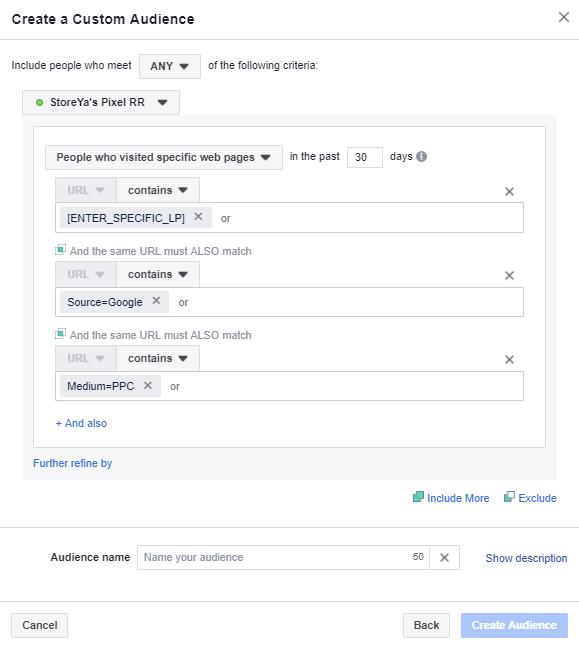 But there is one highly effective strategy that you should be testing above all else: using Facebook remarketing campaigns to target search ad clickers. 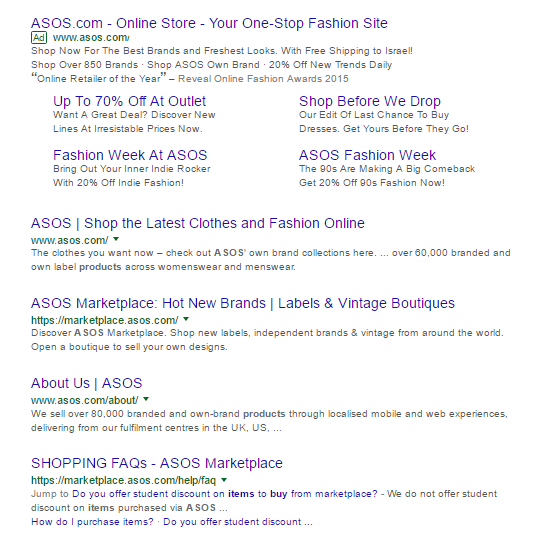 This ensures that these ads show exactly what the searcher was actively searching for. Simply put: This means creating Facebook remarketing campaigns that target different segments based on landing or product pages that they clicked through to from a search ad. To do this, you will need to be familiar with Facebook custom audiences. Another way to use Facebook and Google ads together like a pro lies in your Google Analytics data. This hack is very simple but very effective. Google data such as household income, gender and engagement can at times help you refine your Facebook targeting to improve your ROIs. This can also be used the other way round, with one study showing a 30% ROI improvement and a 7% CTR increase. If you’re looking for more simple but highly effective results, visit our Top Facebook Hacks post. By using Facebook to engage with potential shoppers and Google Shopping to convert, you have a mega multi-channel strategy designed to convert. A potential shopper searching on Google Shopping has a much higher buying intent than your average traffic. By combining these platforms to reach these audiences on both platforms concurrently, you can re-target Google Shopping searchers who showed interest in your products but hadn’t yet bought, with a Facebook campaign. Use a custom landing page for your Google Shopping campaigns that are not indexed, then create a Facebook campaign based on site visits to that specific page. 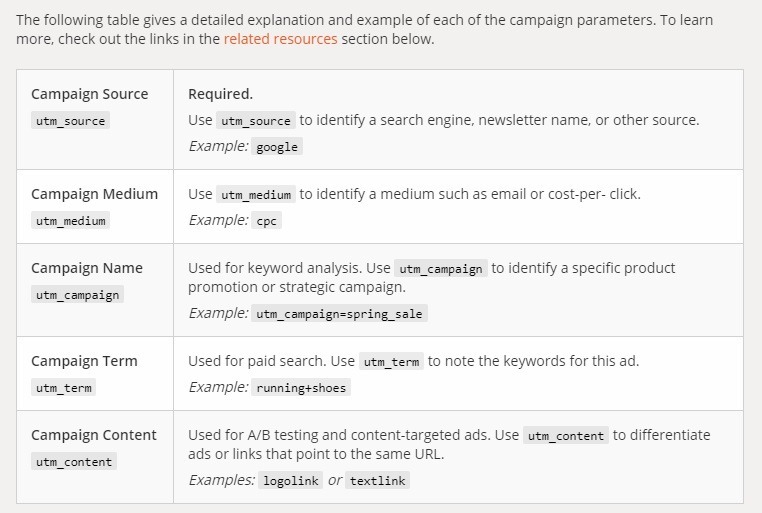 Use UTM codes for Shopping campaigns and target URL visits with the same UTM codes in your Facebook campaigns. You can create these here. There is no doubt that using the two most important marketing channels – Facebook and Google ads – together is key to a winning cross-channel marketing strategy that drives sales. Ultimately, doing this takes you from amateur to marketing genius. This doesn’t need to be a complicated, expensive affair. With the help of tools like Traffic Booster, you can dynamically optimize your campaigns to maximize sales potential and increase eCommerce traffic in a big way. Have Facebook and Google PPC questions? Post them in the comments below. This entry was posted in eCommerce Traffic, Facebook Ads, Google Ads and tagged Driving traffic to online store, eCommerce, eCommerce marketing, eCommerce PPC, eCommerce traffic, Facebook, Facebook PPC, google ads, online store traffic, site traffic, traffic ads. Bookmark the permalink.